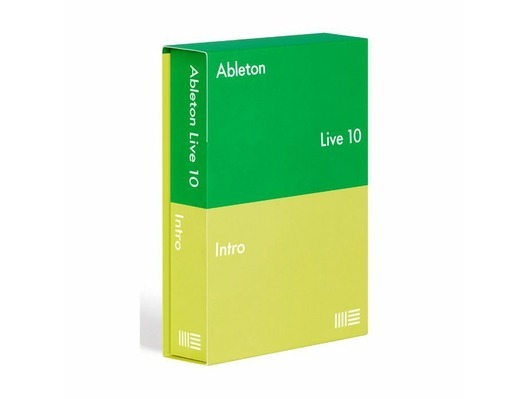 Ableton Live 10 Intro is the introductury version of Ableton Live 10 and includes 4 software instruments (Drum rack, impulse, simpler and instrument rack), 2 sound packs (Chop & Swing and Loopmasters Mixtape) and 8 MIDI effects (Arpeggiator, Chord, Note Length, Pitch, Random, Scale, Velocity and MIDI Effect Rack). 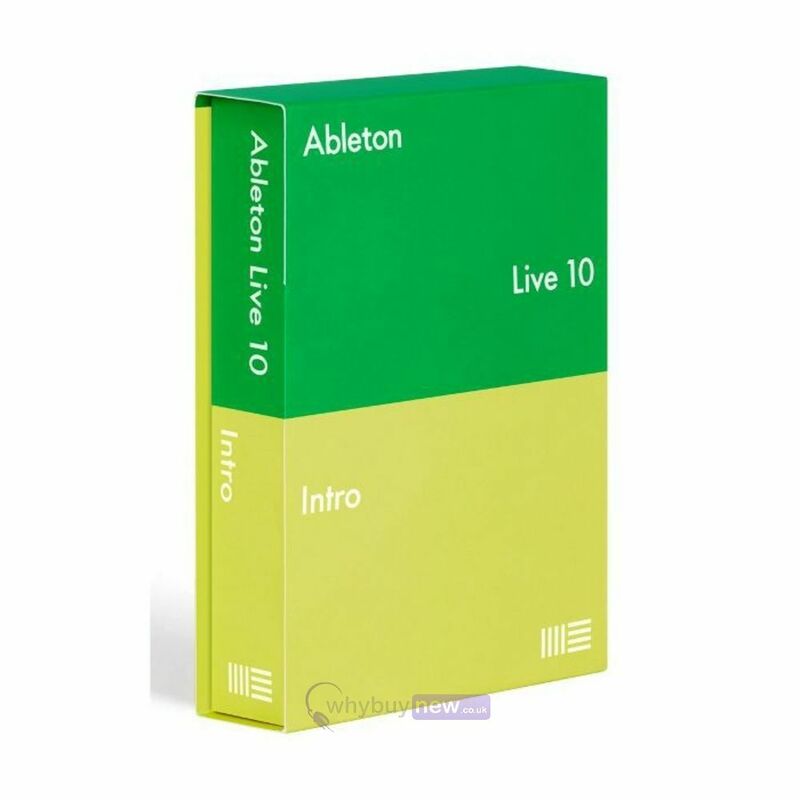 This means that with the Intro version you'll be able to start producing your own music in no time at all. Boxed and download versions available using the drop down list. Please note: For the download only versions when we receive your order we will email you your serial number and download instructions, typically within 1-2 hours (during our business hours) and no more than 48 hours after the order is placed. Please be aware that no returns are accepted for any digital software downloads. Please check that your hardware is compatible before purchasing this software. Turn your most spontaneous ideas into music, without thinking about recording. Starting a song? Just arm a MIDI track and play. When an idea emerges, press Capture after you played it. Live will match your tempo and timing, and start your melody or groove in a perfect loop. You can also use Capture to progress your songs: add new parts or overdub MIDI into existing clips without breaking your flowjust press Capture after youve played it right. 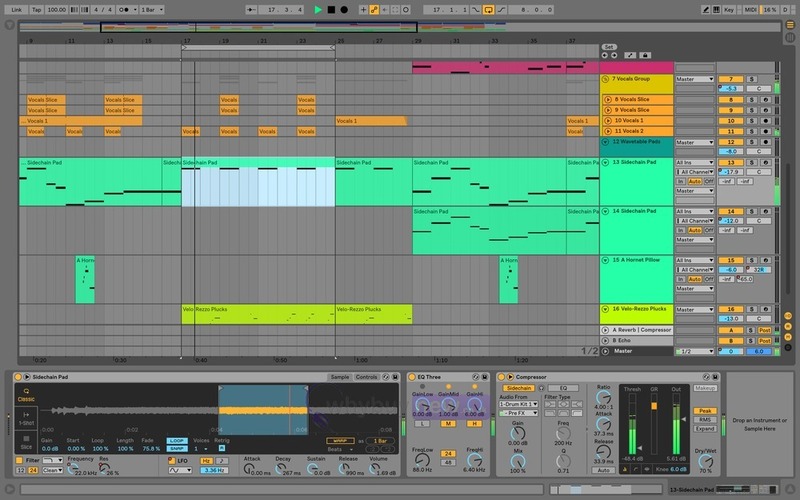 Create drums and bass, or chords and melody in tandem. Work with multiple MIDI clips across multiple tracks within a single viewin both Session and Arrangement. Now you can edit smarter and take better control of the musical relationships in your song. The Arrangement View has been optimized for quick creative editing and more efficient song creation. Easily stretch a clip, slide its content or create audio fades with new clip interactions that work directly in the Arrangement. Automate with greater control using grid snapping and other improved breakpoint interactions. Focus instantly on what you need to with quick keyboard shortcuts: toggle automation visibility for all tracks, zoom in and out of selections of your song, nudge clips, and even make audio edits like reversing samples. 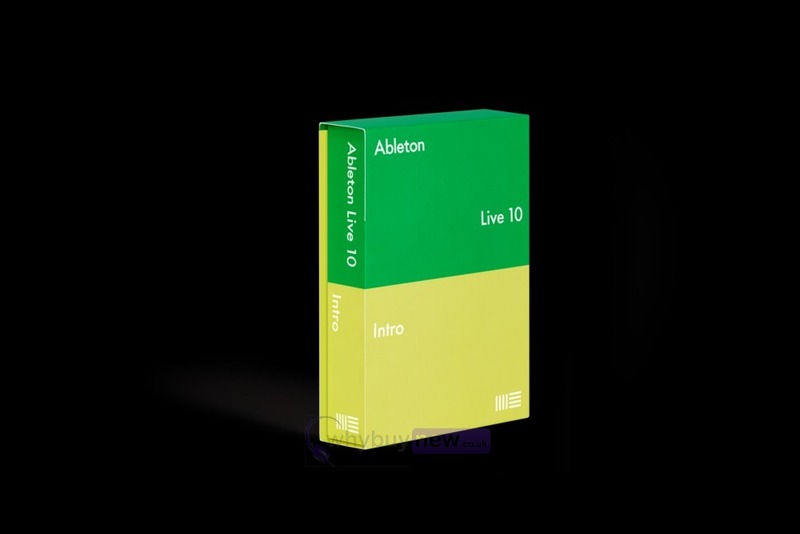 With new collections of Packs, Live 10 has more sounds that are ready for finished music, right out of the box. Theyre set up for tweaking to your needs or taking in different directions. Plus the library has been reorganized to make it easier to find what youre looking for. A new range of sound packs captures the musical threads that tie together evolving styles and scenes. Each Pack is a curated selection of instruments, clips and samples that share a common sonic theme. Theyre ready to create with as they are, and are also set up with Macros for shaping into something completely new. Abletons homage to the style that made sampling an art form and put a new kind of groove on the musical map. Chop and Swing comes loaded with curated recordings and professional presets perfect for cutting up and re-combining into fresh new tracks. 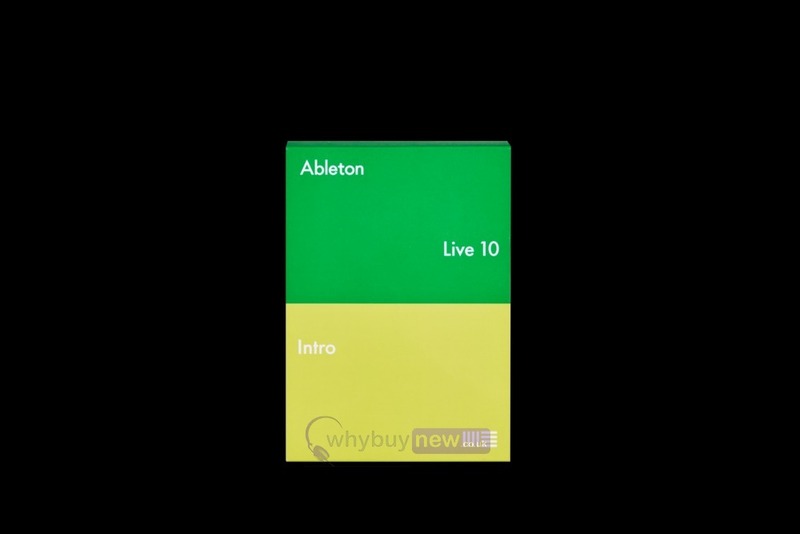 Chop and Swing - New in Live 10 - A homage to the style that made sampling an art form and put a new kind of groove on the musical map. Chop and Swing comes loaded with curated recordings and professional presets perfect for cutting up and re-combining into fresh new tracks. Loopmasters Mixtape - A set of samples and loops from Loopmasters, from synthesized sound design to acoustic drums and founds sounds. Features content from Partners such as Puremagnetik and Soniccouture, and Loopmasters' artist Pack sounds from artists such as Digable Planets, Coldcut, Todd Terry, and more. Drum Rack - An instrument for layering samples, synths and effects in a classic 16-pad grid. Impulse - A drum sampler with complex modulation capabilities. 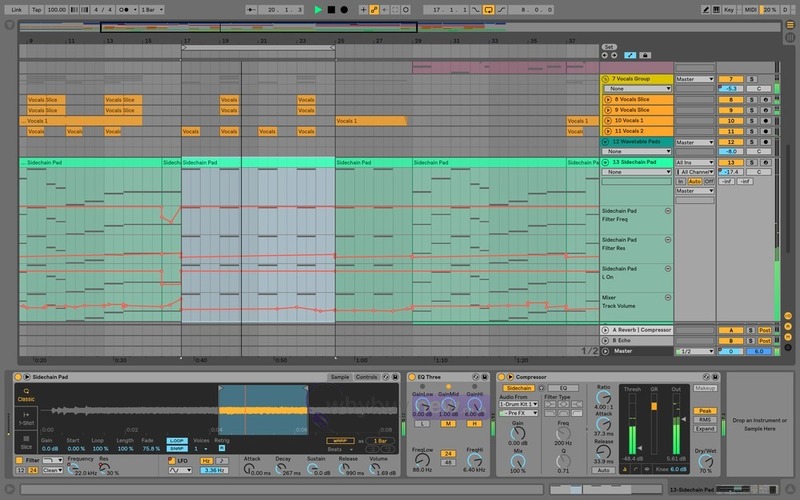 Simpler - An easy-to-use but powerful sampler with classic synthesis parameters. Instrument Rack - Combine multiple instruments and effects into a single device, allowing for split and layered sounds with customized Macro controls. Auto Filter - Classic analog filter emulation with an envelope follower and LFO. Auto Pan - LFO-driven panning, tremolo and beat-synchronized chopping effects. Beat Repeat - Creative beat mangling with controlled or randomized repetitions of an incoming signal. Chorus - Create thickening or flanging effects with two parallel modulated delays. Compressor - Dynamics processing to add punch and loudness. EQ Three - Three-band EQ with kill switches, modeled on classic DJ mixers. Erosion - Adds digital-sounding artifacts and noise to audio signals. Flanger - Classic tape phasing sound caused by time-modulated delays. Gate - Dynamics processing for noise reduction and decay or reverb shaping. Grain Delay - Granular delay with controlled or randomized pitch. Limiter - Sets an absolute output limit, suitable for mastering. Looper - Records, loops and overdubs audio, based on classic hardware looping pedals. Phaser - Sweeping effects created by notches in the frequency spectrum. Ping Pong Delay - Filtered delay that jumps between the left and right outputs. Redux - Bit- and sample-rate reduction for classic lo-fi sounds. Reverb - Simulates the acoustics of real or imaginary rooms. Saturator - Waveshaping distortion for adding dirt, punch and warmth. Simple Delay - Two independent delay lines with feedback and tempo sync. Tuner - Tuner shows the incoming pitch and its distance from the nearest semitone, helping you quickly get instruments in tune. Utility - Updated for Live 10 - Multipurpose tool for adjusting gain, phase, stereo width and more. Audio Effect Rack - Combine audio effects into a single device, allowing for the creation of simplified Macro controls for complex effects chains. Arpeggiator - Takes individual notes from a held chord and plays them as a rhythmical pattern. Chord - Adds up to six additional pitches to incoming MIDI notes to create chords. Note Length - Alters the length of incoming MIDI notes or triggers notes via Note Off. Pitch - Transposes MIDI notes by a specified amount. Random - Applies chance-based random transposition to MIDI notes. Scale - Remaps incoming MIDI notes to different outgoing MIDI notes. Velocity - Randomizes or compresses MIDI note velocity. MIDI Effect Rack - Combine MIDI effects into a single device, allowing for customized MIDI processing chains with simple Macro controls. Group tracks - Updated for Live 10 - Use multiple levels of groups to mix with greater flexibility and manage detailed arrangements more easily. Capture - New in Live 10 - Recall your best ideas after you've played them – Capture can turn what you played into MIDI clips, without having to think about recording. Ableton Link - A technology that keeps instances of Live and a growing collection of iOS apps in time over a wireless network. 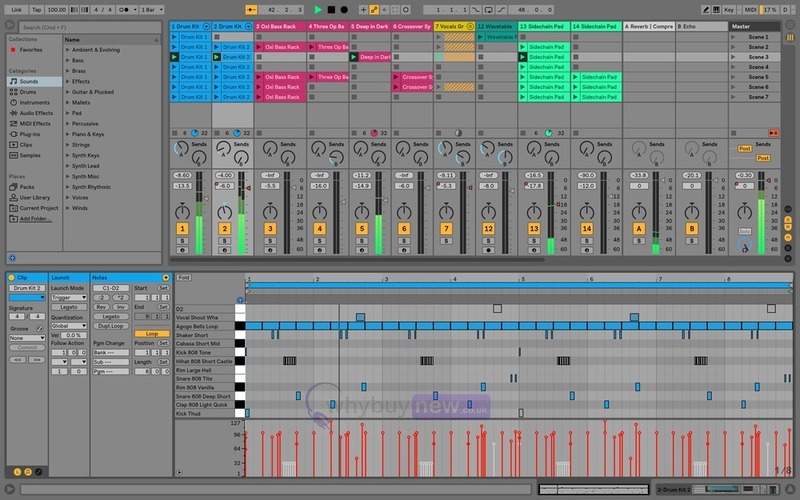 Push - Push is designed to help you make songs from scratch. With Push you get all of the fundamental elements of music making — melody and harmony, beats, sounds, and song structure — at your fingertips. Because it’s powered by Live you still get all the advantages of software when it comes to editing, mixing, mastering, and exporting your finished track. In addition to all the above controllers, Live supports any standard MIDI controller for sending and receiving MIDI notes and controller information.